Bluetooth wireless allows you to stream high quality music through a full 8 hours without the worry of messy wires interfering with your workout. In just 10 minutes, you can power your headphones for an hour of use. Never hurt. Never fall out. Thanks to TwistLock™ and FlexSoft™ technologies, these headphones are lightweight and ergonomically built to ensure comfort and stability no matter the workout. Featuring IPX7, the JBL Endurance JUMP are designed to be used in all weather or sport conditions. Durable and made to last, no matter the elements. Allows you to easily manage your music and calls controlling play, pause, volume and tracks order with a simple touch for extra convenience, so that you can keep going. 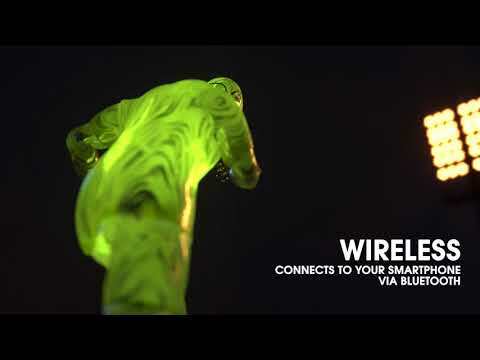 Bluetooth® technology enables hands-free calling, allowing you to focus on your workout. 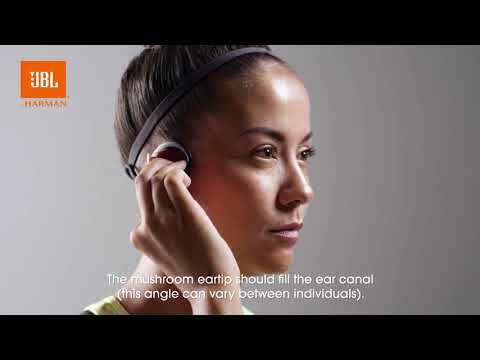 JBL Endurance JUMP headphones have your back when it’s time to take your workout leaps and bounds ahead. Guaranteed never to hurt or fall out, these buds let you turn on the energy – instantly. Slip on the PowerHook™ design and they automatically power on. Move in confidence with a wireless neckband and TwistLock™ ear tips. Endure the elements with IPX7 waterproofing and 8-hours of battery life. And if that’s not enough, be ready for more in a few minutes thanks to a convenient Speed Charge battery. JBL Endurance JUMP is rated 3.3 out of 5 by 38. Rated 5 out of 5 by Trina Mae from Very light in wearing... I've loved JBL produces for many years now. Awesome product. Rated 5 out of 5 by NateH7 from Love these! I've been looking for years for an earbud that will not fall out of my ears while running/working out. I found them. Compared to other models/brands that advertise the same, these were much cheaper. They turn on/off just by putting them on/taking them off your ears. I use these for working out as well as making phone calls at work. Sound quality is good for an earbud. I have found no negatives yet with this product. Buy it. Rated 5 out of 5 by Marcio M from Easy to use, good sound The main problem I had with other sport phones was that they had too fragile comands etc. This JBL Endurance Jump, on the contrary is very easy to use. You don’t even have to turn it on and off, which is automatic. 100% approved! How can i see is the bluetooth battery is full charger? Why when the bluetooth is charging there is light at the moment and after that no light anymore? I see one of the largest dislikes of this product is the sensitivity of the touch controls. Can I pause/skip/etc my music just off my device if I prefer? Or do you have to use the touch controls? Yes, You can still use your phone to control the device if you do not wish to use the Touch controls. It says here on the website that the maximum music play time with ANC off is 8 hours. ANC means the noise-cancelling component if I'm not mistaken. How do I know if it's on or not? Thank you for your question. 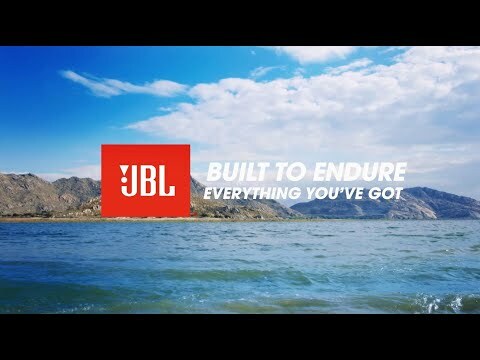 The JBL Endurance JUMP does not have ANC. If you need further assistance, please submit a case request at https://www.harmanaudio.com/support-contact.html and the Customer Service Team will be more than happy to assist you. ?charger power limits? Will 5V. 2A. Charger. Damage 3.7V battery? We advise using 5V 1A charger when charging the JBL Endurance Jump to not damage the batteries. Hi, i am using this most of time in work while driving and my client complaint that the voice quality from this device is very poor, like using loud speaker and unable to listen clearly sometimes. Is there anyway to fix that? We would like to work with you directly to help you with your issue. I noticed that you are in Malaysia, please submit a case at support.apac@harman.com and our Customer Service team will be glad to further assist you. What type of charger do the Earbuds use? The JBL Endurance Jump comes with a USB charging cable for you to connect to either a powerbank or your phone's charger to get it charging.